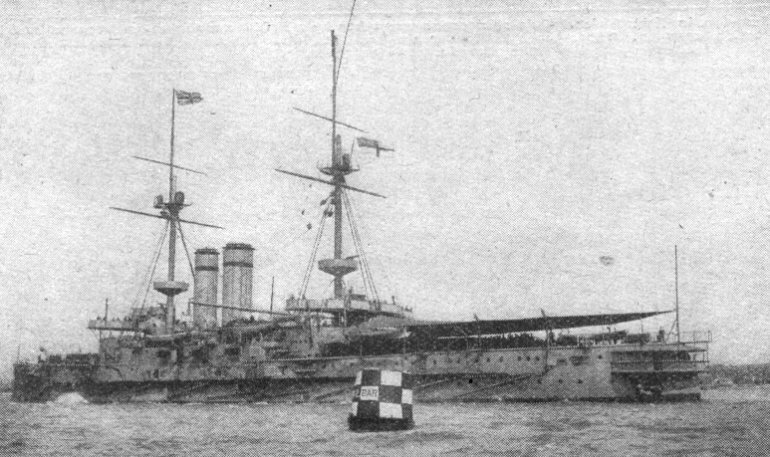 On the night of 12 May, Goliath was anchored in off Cape Helles, along with HMS Cornwallis and a screen of five destroyers. Around 1am the Turkish torpedo boat destroyer Muâvenet-i Millîye eluded the destroyers and closed on the battleships firing two torpedoes which struck Goliath almost simultaneously causing a massive explosion. Goliath began to capsize almost immediately, and was lying on her beam ends when a third torpedo struck. She then rolled over and sank taking 570 of her 700 crew to the bottom, including her commanding officer. Although sighted and fired on after the first torpedo hit, Muâvenet-i Millîye escaped unscathed. Turkish minehunter TCG ANAMUR and German minehunter FGS BAD BEVESEN were at Pollock Dock in Belfast on the Centenary of the Commencement of the land campaign on the Gallipoli Peninsula. History Hub Ulster, as part of the national Last Post Project, commemorated those naval personnel lost at Gallipoli from all countries involved in the First World War campaign. 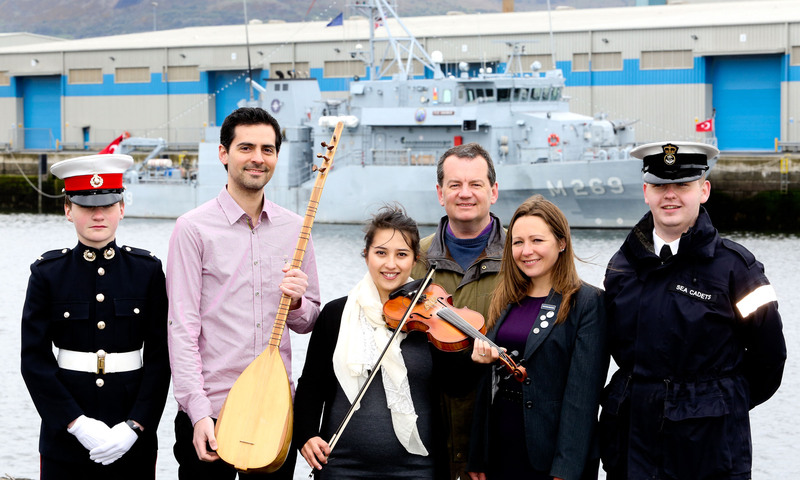 Musician Ioannis Tsioulakis played Turkish folk song çanakkale türküsü on traditional Turkish instrument the bağlama, and Clare Galway played the Last Post on violin adjacent to TCG ANAMUR berthed at in Belfast Harbour. Senior Naval Officer Northern Ireland, Commander John Gray, History Hub Ulster Chair Karen O’Rawe and sea cadets from TS Eagle and TS Formidable joined them to remember Ulster sailors lost in the Gallipoli campaign.